When I asked my children what they most wanted to do on holiday this year, they had 2 criteria – somewhere they could make friends and somewhere with great pools. 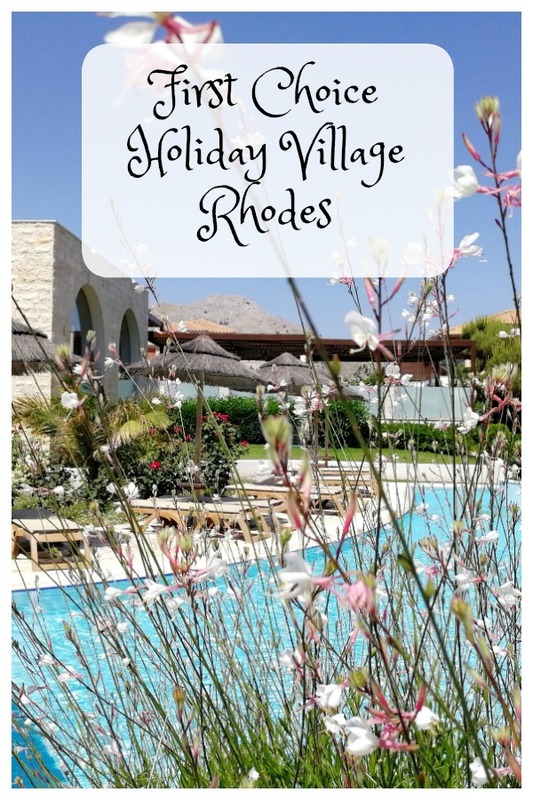 Reasoning that happy kids make a relaxing holiday, we took the plunge and plumped for the First Choice Holiday Village Rhodes. Somewhere that prides itself on catering for families would surely be able to provide pals to hang out with and pools to play in for our 10 year olds. 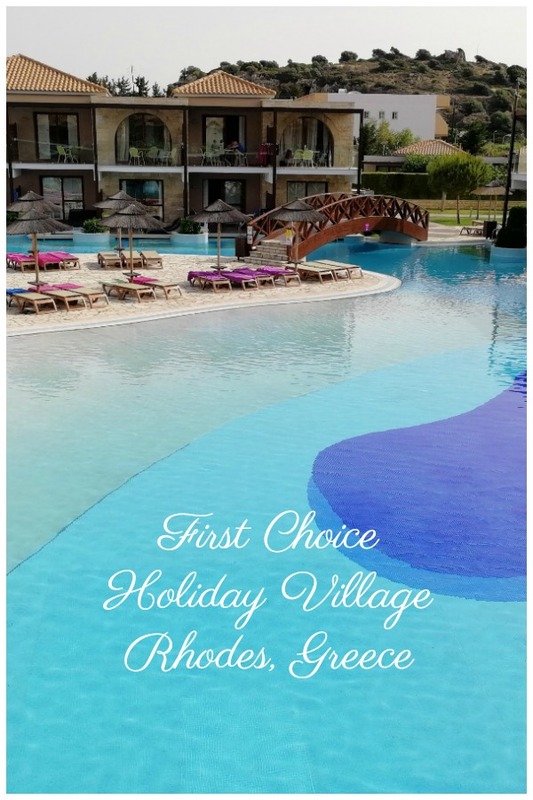 We were holiday village newbies – how did we fare? 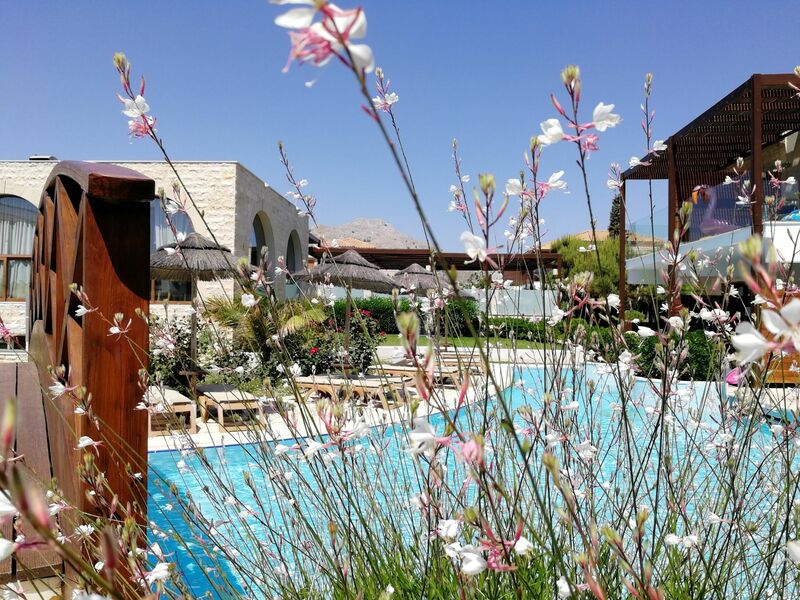 There are 3 main areas of the resort, Deluxe, Relax and Activity. The Relax and Deluxe areas are across a road from the Activity area – a subway that takes you from one side of the resort to the other. Deluxe costs a little more and has its own pool and restaurant as well as an adults only bar which is open to all staying at the resort. We really enjoyed staying in the Deluxe area as it meant we could hang out in a quieter location when we wanted to but still have access to all that was going on in the Activity area. 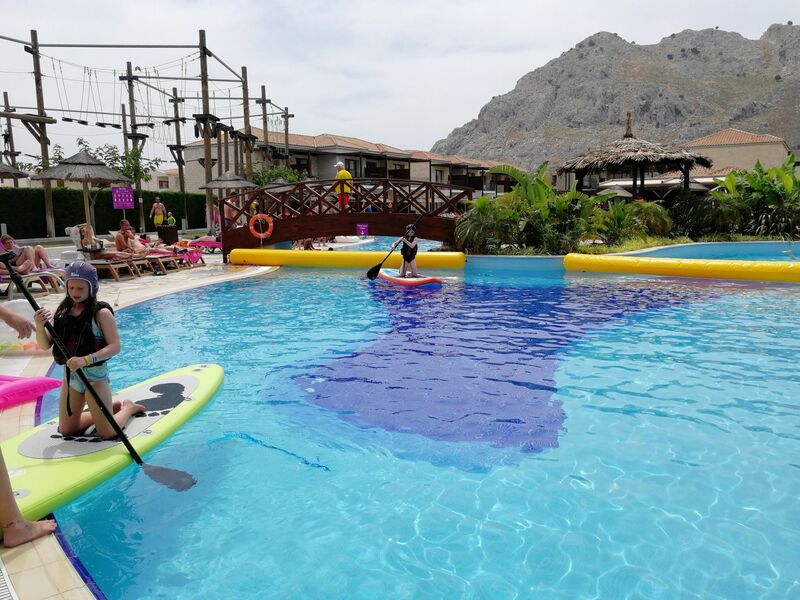 The Activity area hosts the kids club, water park, high ropes, the majority of the restaurants and bars and the entertainment stage, as well as the sports pitches. 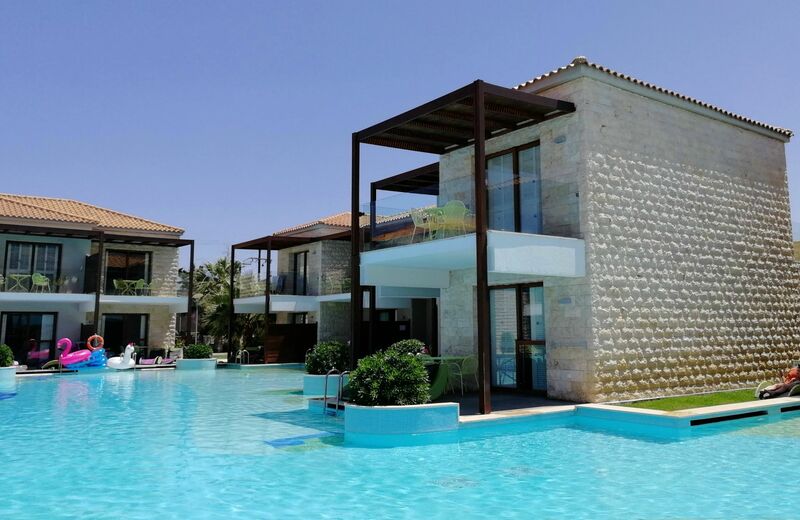 It’s very well equipped, it’s lively and it can be noisy with all day activities taking place on and around the pool. If you want to be at the heart of the action, the Activity area is for you. If you want a quieter holiday then choose the Relax area and if you want to pay a little more for some upgraded facilities, the Deluxe is a good option. The Deluxe has its own reception and is also where you find the spa and gym. Our room in the Deluxe area was one of the best family rooms we’ve ever had. In our experience of family rooms, the children’s beds are often either a shared double – cue ‘she’s kicking me’ complaints – or are sofa beds. Here the children had proper single beds, with full size single mattresses, which were separated from the main bedroom by sliding partition doors. The balcony doors in the children’s area led out onto a very large balcony with glass surrounds and a stunning pool view. Ground floor rooms are swim up. The room was well equipped with spacious wardrobes (ring Reception for more hangers), a mini bar which was replenished daily (included), 2 x TV (didn’t use), safe and aircon which was quiet so you could leave it on at night – you don’t find quiet aircon in many hotels! 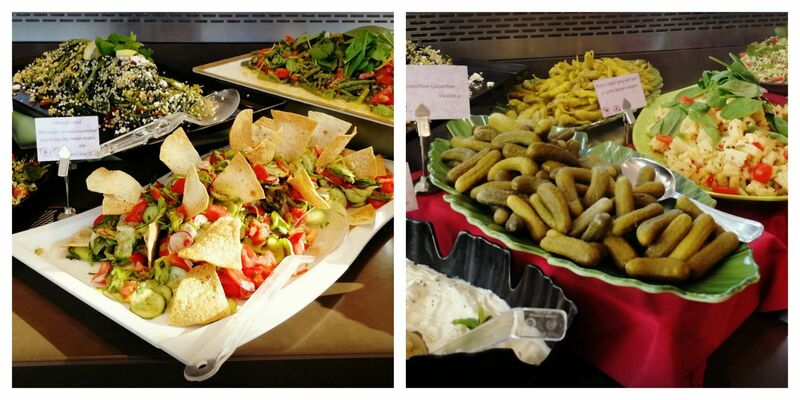 The Deluxe Clubhouse restaurant also has waiter service for the main course at dinner time and was a more relaxing and less busy dining environment than the main buffet restaurant in the Activity area. It is a smaller restaurant so doesn’t have quite the same range but has a different a la carte theme every night, with an extensive buffet selection at all meals as well. 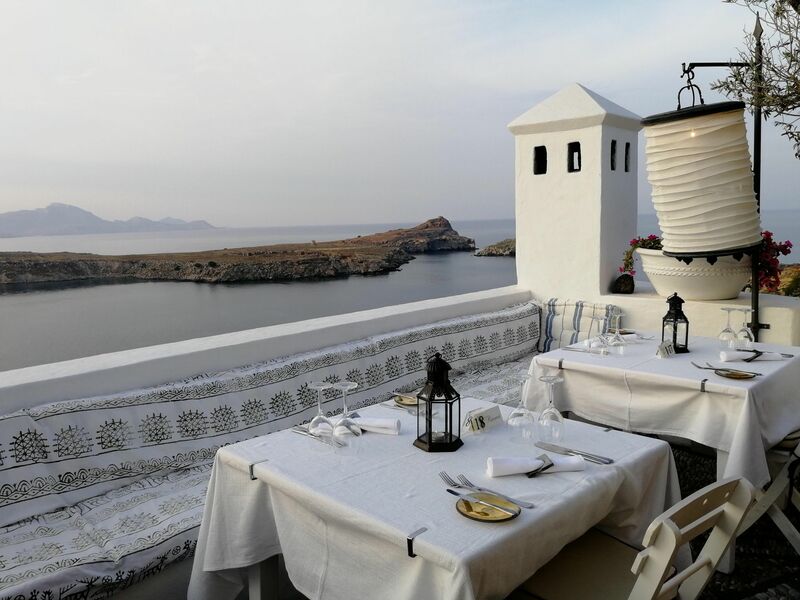 Everyone staying in the resort can dine once per holiday at the 3 themed restaurants – the Italian Trattoria, the Greek restaurant and the American restaurant. To book you need to use the hotel’s app or the machines located in both of the receptions. It is quite tricky to get booked and we gave up trying and booked via the guest services instead. We weren’t alone in this, it was a common experience at the hotel. 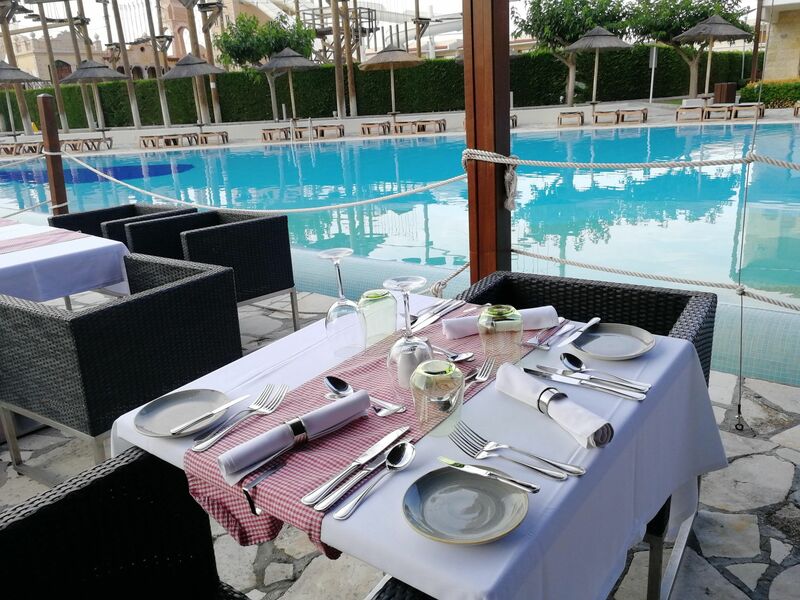 We ate at the Greek restaurant – hearty mezze and Greek specialiaties and at the Italian Trattoria – delicious Italian food overlooking the Activity pool. We missed out on the American since a long day trip out meant we could not make our reservation and we released the booking for someone else to take up. The kids will be happy – the resort has 5 pools! Deluxe area – plenty of sunbeds no matter what time we went to the pool we always found 4 together. Plenty of umbrellas for shade. Bar next to the pool. In the picture below our room is the one in the foreground. Loved our room! Relax area – swim up bar plus a little ones pool area. Plenty of sunbeds and umbrellas. 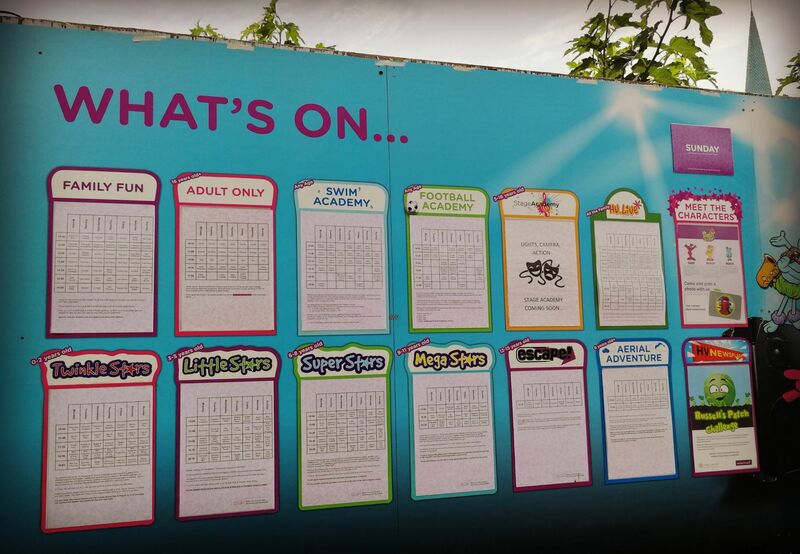 Activity area – busy with water based activities, dance shows, music etc. Tricky to get a sunbed unless you get up early! Heated pool – mainly for swimming lessons but my children liked having a splash here too. 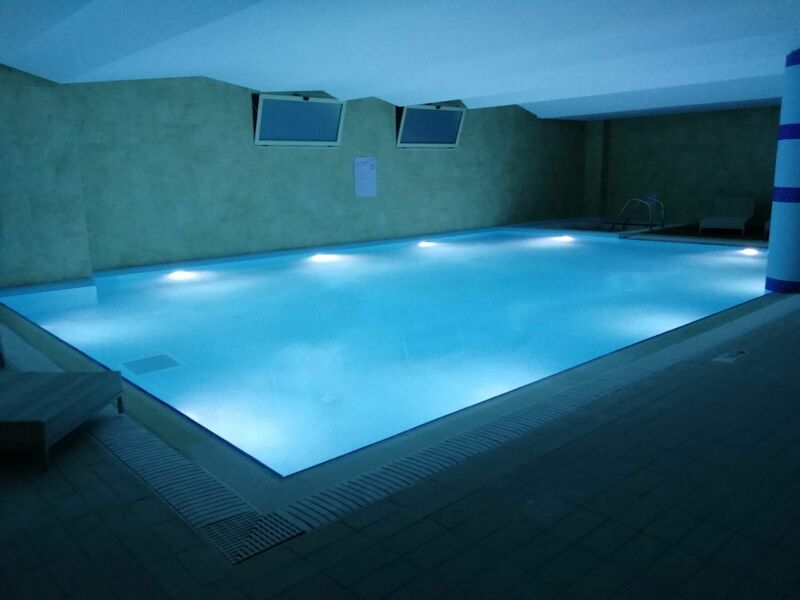 Indoor pool – part of the spa so a quiet atmosphere rather than a kid focused pool. Kids clubs for all ages, sports courses, family activities, adult activities, entertainment and even a fireworks display. There are things going on here all day long. If having a rest isn’t your idea of a holiday then you are bound to find some archery, football, paddleboarding, kayaking, water polo, lawn games, tennis, volleyball, pool party or quiz that suits you. My children made friends at the kids club and then spent most of their time hanging out with them rather than going to the actual club. There are shows every evening and the entertainment team here work flat out to make sure that everyone has a great time. 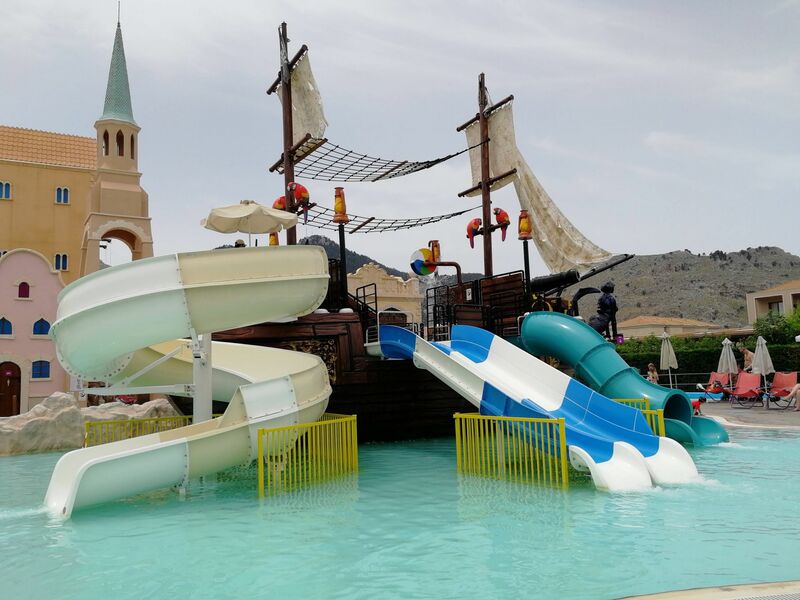 The water park has an extensive water play area for little ones, including slides and pirate ship. A long lazy river lets you bob along on provided inflatables – very relaxing. Various flumes drop or plunge you into the water – there are age/ height restrictions on these and they are rigid about this. Kids wear wristbands which indicate their age. The flumes are excellent – so much fun! 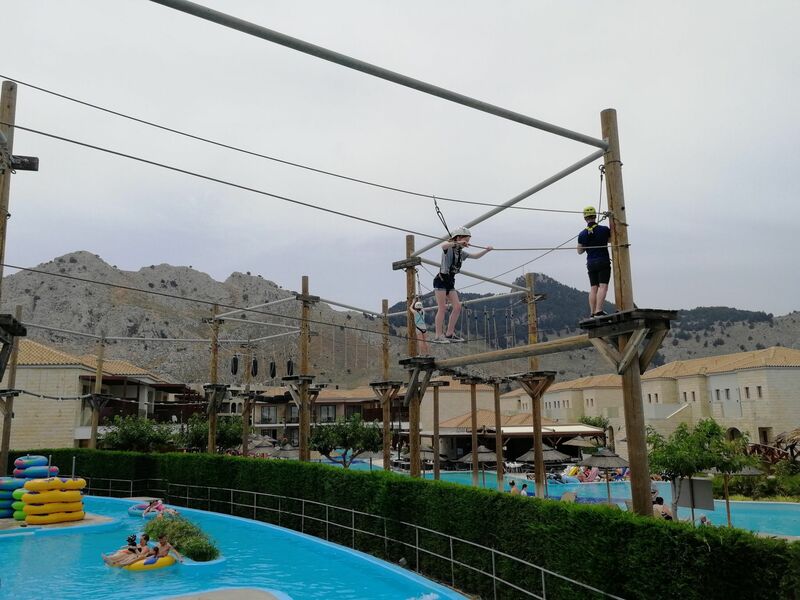 High Ropes – over the pool – are trickier than they look. The course is not particularly high but there is a certain amount of (very safe) clipping and unclipping needed. It can also get hot up there. An age restriction applies and you need to book. Many a time, when our children were moving from pool to waterpark and back again with their holiday friends, we would sit in the water park as it’s very central with lots of seating and shade from umbrellas. If you can’t get a sun bed around the Activity pool, this is a good option. We hired a car for 5 days via the car hire desk at the hotel. They give great advice on getting round the island so it’s well worth a chat with them when you pick up your car. 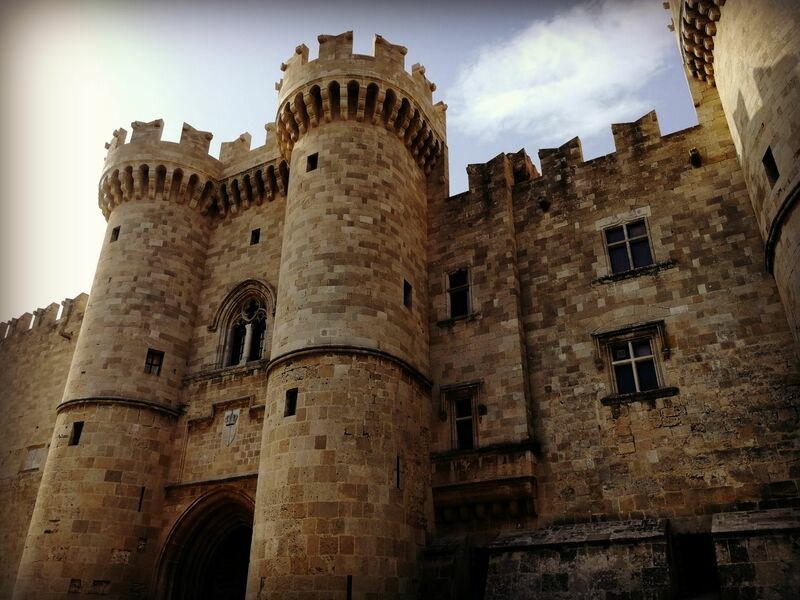 Taxis are 30 – 40 euros one way to Rhodes, car hire was 150 euros for 5 days, so well worth it. 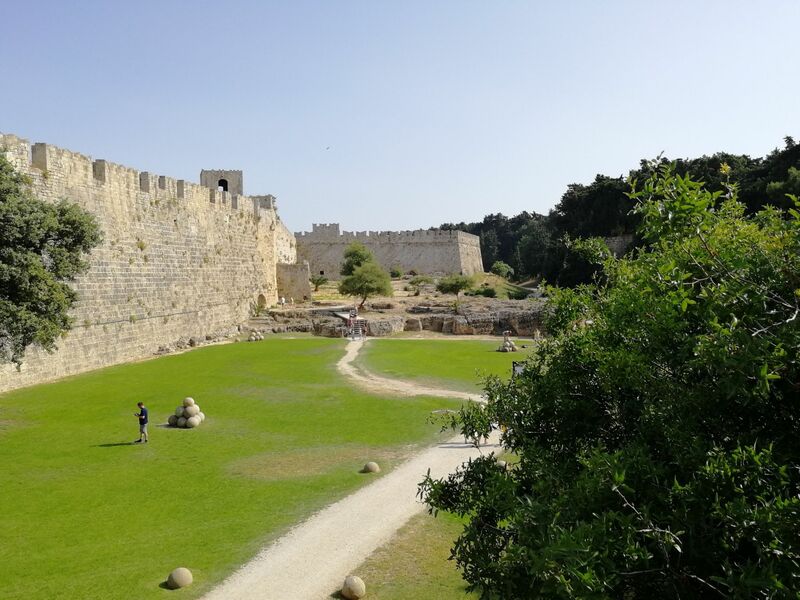 Rhodes – the old town is a UNESCO world heritage site and it’s not hard to see why, what with the Knights’ Palace, the most intact medieval street in Europe and twisting cobbled alleyways which are now full of little shops. 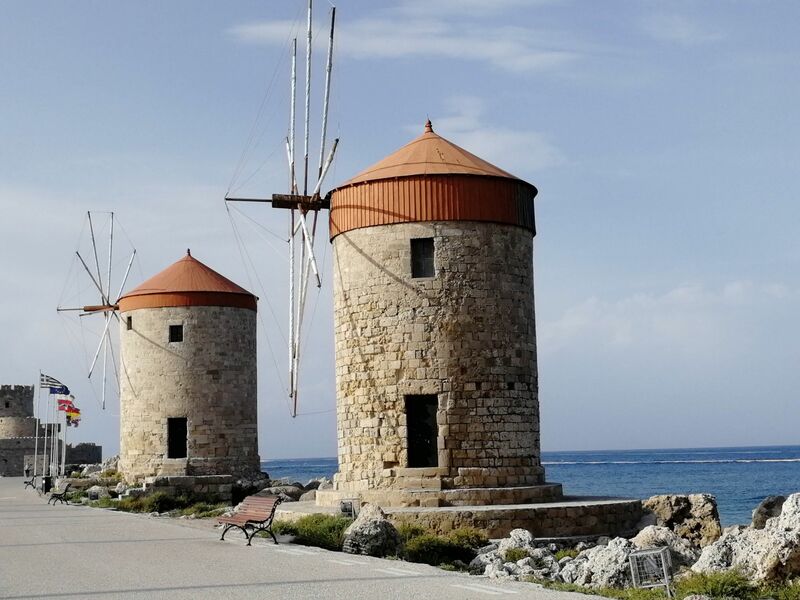 Outside the old town lie a marina, windmills, beaches and a lively Greek town with modern shops, restaurants and bars (patronised by the people of Rhodes, not just tourists). 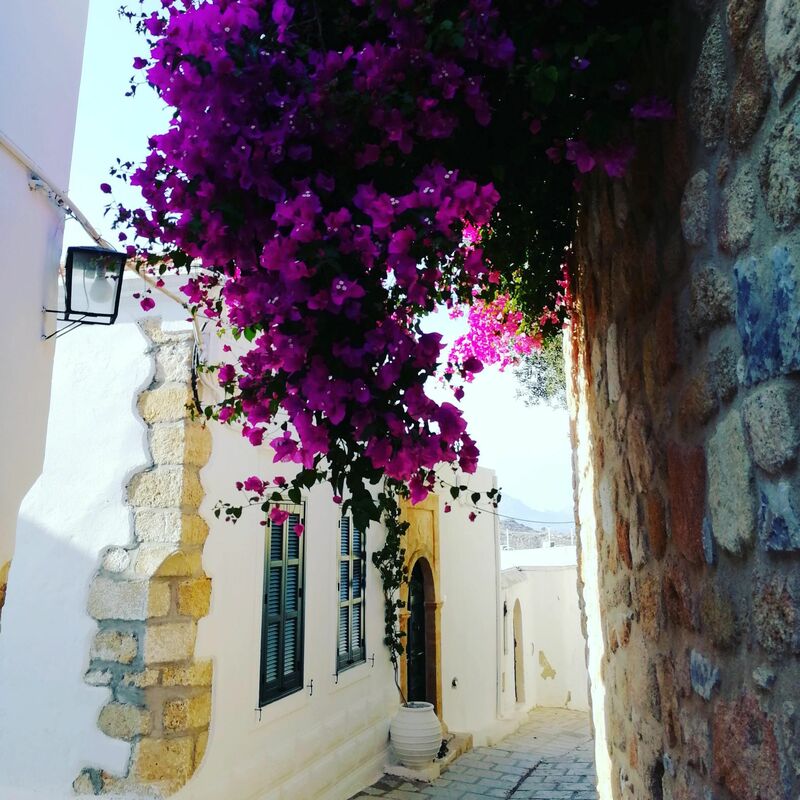 History, culture, shaded streets and plenty to see. Approx 30 mins from hotel. 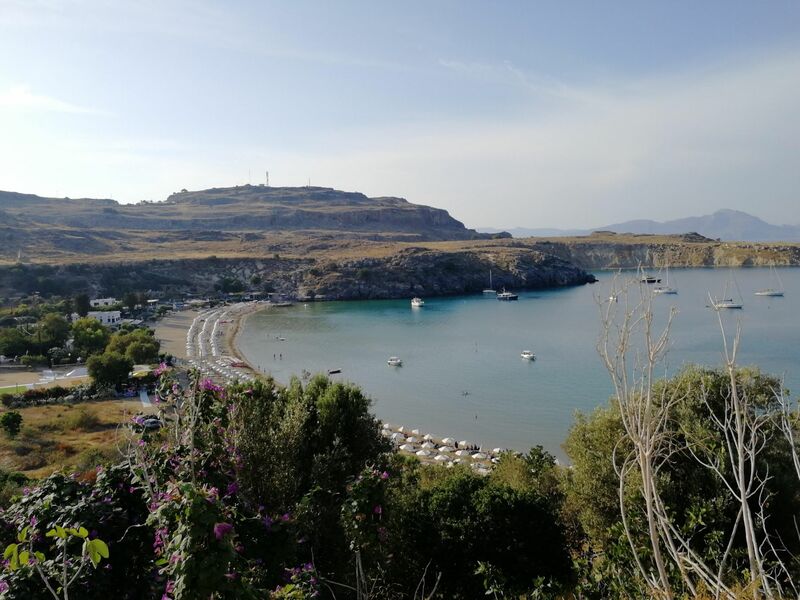 Lindos – a very pretty traditional Geek village – white painted houses, acropolis, medieval ruins, beach, rooftop restaurants and bars. We had a fabulous meal at Melenos Hotel. If you are looking for the Greece of the Mamma Mia movie, you will find it here. Approx 25 mins from hotel. 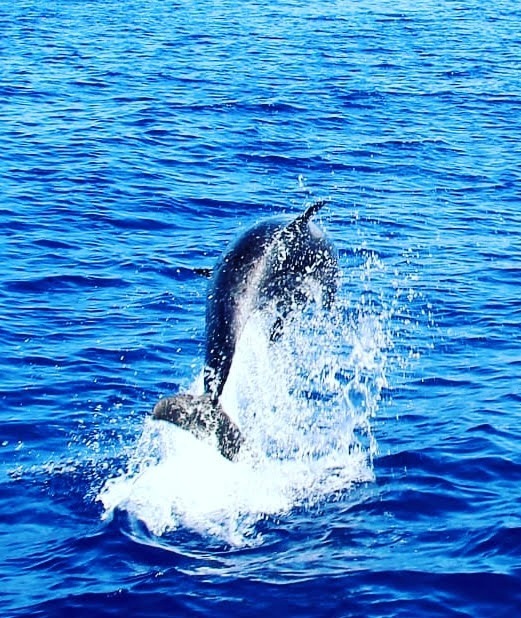 Boat trip – we went from Lindos on a wooden yacht with Nextportaway, stopping at 3 snorkeling spots and yes we did see dolphins playing with the boat! Other boat trips pick up from Kolymbia near the hotel or from Rhodes. You can also get the ferry to Symi via Rhodes. The island’s coastline is fairly barren so the view of the land from the sea is not jaw dropping, but snorkeling in the crystal clear water is lovely – stop for lunch somewhere delicious and watch the world go by from on deck! Criteria – did they make friends? YES! They made lots of friends, roamed round in a little group from pool to waterpark to bar for a slushie and back. They loved this element of the holiday. Criteria – did they like the pools? YES! All of them – from heated to lazy river to paddleboarding in the activity pool to playing with inflatables to ordering a drink (slushie) at the swim up bar. If you have a water baby they will be very happy here. -There is a shop selling inflatables, snacks, souvenirs etc just outside the hotel – much cheaper than the hotel shop. They will inflate your unicorn/crocodile/shark for you. -Don’t leave your inflatables outside the room – we left 2 armchair style lilos outside the first night, they blew into the rose bushes and popped #fgs! -The hotel has a ‘swap shop’ by Activity reception where you can drop your inflatables and anything else you don’t want to take home. On the last day my girls and their gang of friends nabbed various unicorns and other inflatables from here before returning them to the swap shop later for another lucky group of kids to use the next day. -We didn’t see any mosquitoes or get bitten but some people did – bring repellent. We did wear repellent and we always use one with 50% Deet. -Sun cream is really expensive locally – bring it with you. -Rhodes airport isn’t the best – lots of queuing and it’s quite hot. -The hotel will give you a courtesy room or access to changing facilities in the spa if your flight back isn’t till late, which saves you paying for a late check out. You get use of the room for between 30 mins and an hour – long enough to get ready for your journey home. 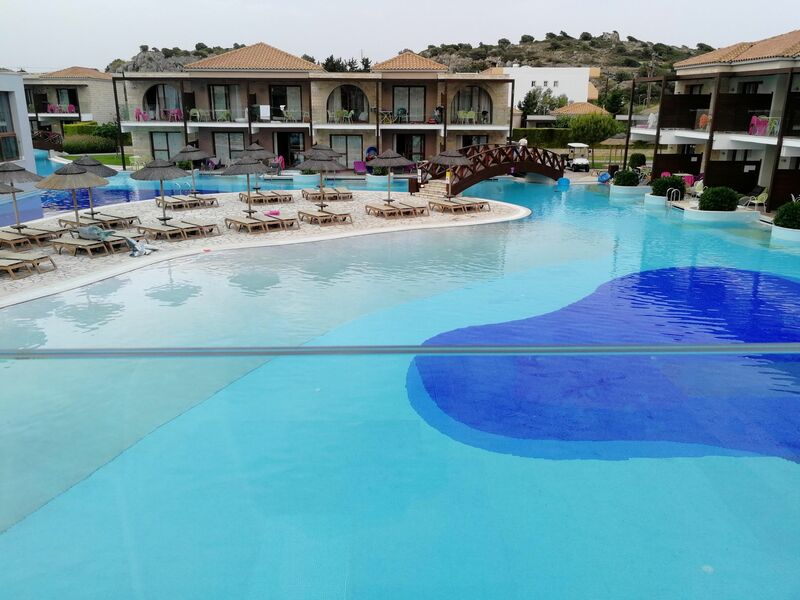 Family friendly, a high standard of accommodation, plenty to do in and out of the hotel and happy kids made it a truly relaxing and fun holiday. Yes we would go back!